Exactly at the 11th hour of the 11th day of the 11th month, 99 years ago, people across Europe suddenly stopped shooting guns at each other. Up until that moment, they were killing and taking bullets, falling and screaming, moaning and dying. Then they stopped, on schedule. It wasn’t that they’d gotten tired or come to their senses. Both before and after 11 o’clock they were simply following orders. 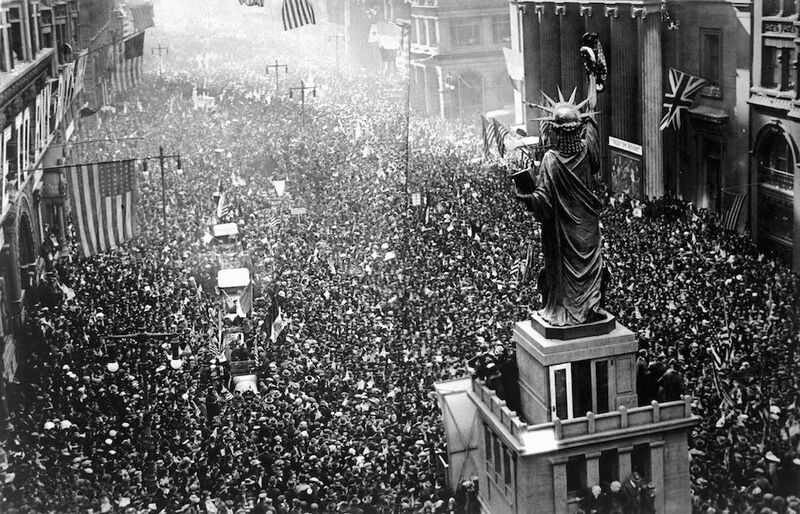 The Armistice agreement that ended World War I had set 11 o’clock as quitting time. And then the world had a party, the likes of which we have not seen or dreamed of — a party now in bad need of a sequel. Each year, for a lot of years, there was a remembrance on November 11th. The U.S. Congress called Armistice Day a holiday to “perpetuate peace through good will and mutual understanding between nations,” a day “dedicated to the cause of world peace.” When churches rang their bells at 11:00, that’s what they meant. And they meant it right up until the war on Korea, the one the North Koreans all still remember with shudders of horror. And then Congress turned Armistice Day into Veterans Day, and veterans into props for marketing more wars and a permanent state of war preparations. What we need now is a brand new armistice. Pick a day and a time, I don’t care when. Pick 11-11-11 again — why not? — and plan a party like it’s Armistice 99. I’m serious. 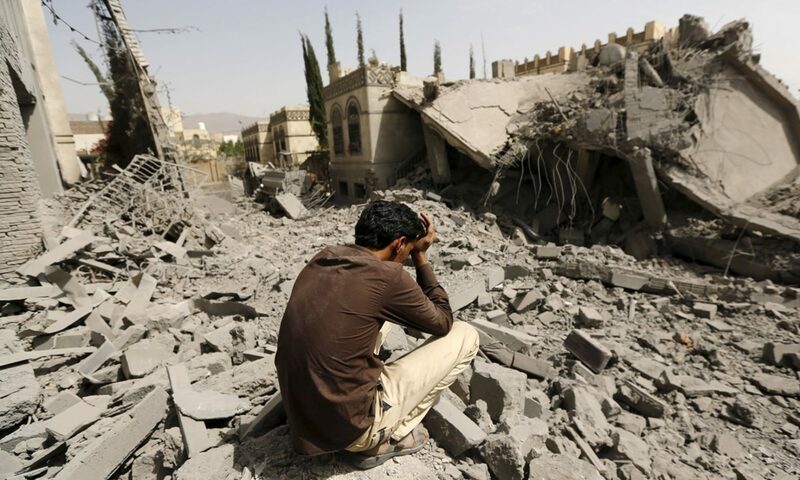 What would happen if, at that hour, the United States and Saudi Arabia ceased bombing Yemen? What if the ports opened and the food and the doctors and the journalists rushed into that hell to begin undoing the damage? What would be the harm in that? What if, at that very hour, guns ceased to fire, drones ceased to buzz, bombs and white phosphorus ceased to fall across the world, in Afghanistan, Syria, Iraq, Libya, Somalia, Pakistan, the Philippines, Niger, Congo, Sudan, Mexico, Kenya, Turkey? What would be the harm? Who would miss the carnage? Who would object to the biggest force for death and disease and famine and environmental destruction taking a pause? Who would protest an end to the central justification for secretive and authoritarian government? Armistice Day 99 would mean a miraculous transformation in the lives of many millions of people through the ending of wars we hardly hear about, plus the end of all the threats of new wars that we do hear about. New wars cannot be threatened in the Armistice Era. Instead, the bases and troops and weapons and provocations that risk the new wars have to be shut down, brought home, and converted into beneficial and sustainable enterprises. Instead of Veterans For Peace groups hiring lawyers to argue for their right to participate in Veterans Day parades — part of the annual tradition for many years now — they could hire musicians for the celebration! Let’s create such things anew.